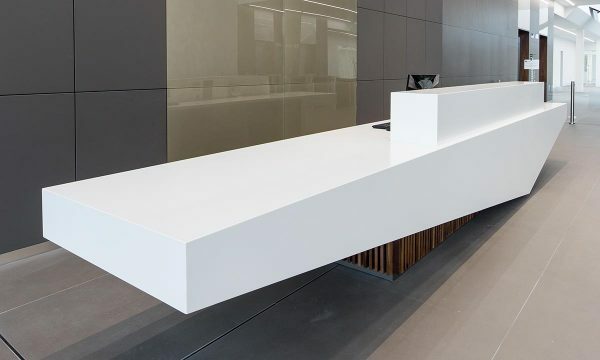 We are experts at working with a wide array of materials including the latest man-made solid surface products like Corian, high specification glass and acrylics alongside traditional materials such as solid wood, marble, granite and concrete. We work with a wide range of different types of solid wood as well as veneers and understand how the beauty of natural woodgrain can impact on a design. 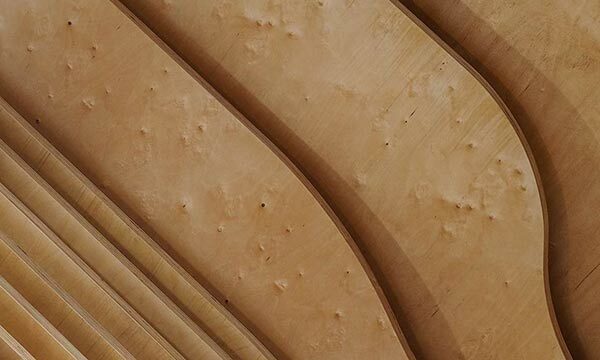 We appreciate the often subtle performance differences between different wood types and can recommend the most suitable option for your project. We also offer a range of stunning real wood veneers, stained veneers and engineered veneers – all designed to match your exact project requirements. Solid surface Corian is an advanced blend of pure acrylic polymer, pigments and natural mineral fillers. It provides a hygienic and durable surface with an attractive natural stone-like appearance. 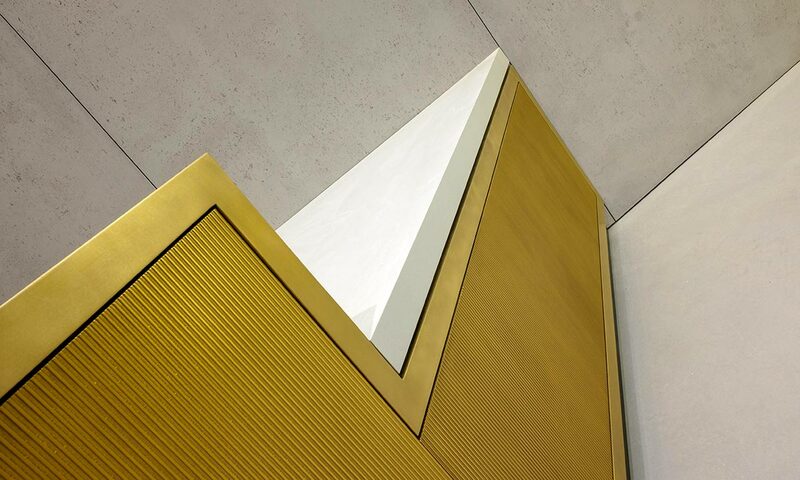 The colour runs consistently all the way through the material, producing a perfectly neat and unified appearance and meaning it can be cut, bent and joined to create a seamless finish. It is available in a wide range of colours and patterns, which are continually being revised and refreshed by Corian. The attractive swirls and veins which characterise marble are down to the recrystallised carbonate mineral grains which it’s composed of. Marble is naturally dense, making it a hardwearing surface - provided it is properly cared for and maintained. It is available in a range of different colours and is usually highly polished to highlight its natural attributes but can also be specified in a matt or aged finish for a more traditional look, depending on your specific requirements. The use of toughened glass has increased the opportunities for interior designers to utilise glass for a much wider range of different applications from vanity units to wall panelling. 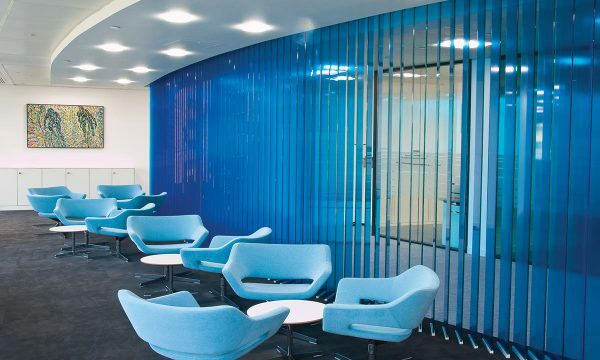 Glass is an incredibly versatile material with textured finishes including acid etching to choose from in addition to the opportunity to back-paint it to almost any RAL colour or incorporate digital screen printed designs. Our work with glass and understanding of our clients’ requirements led us to develop Duraglas - a high-specification painted glass panel available in 14 RAL colours. 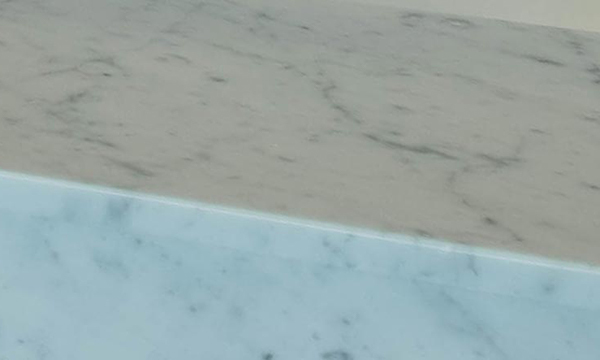 A natural stone material containing quartz, Granite has a distinctive coarse-grained structure and is generally available in shades of white, pink or grey. Exceptionally tough and durable, granite has a long history of use in construction, adding a touch of luxury when used for decorative features such as worktops and floor tiles. 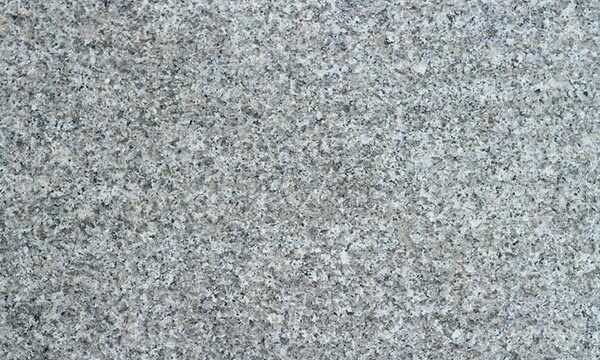 Granite can be shaped to suit your specific requirements. Metal, of various different grades and types, remains a popular material for interiors. It’s hardwearing, durable and offers a flexible design solution as it can be cast or shaped into any bespoke design. While metal is in many ways a timeless material that will fit with any interior design scheme, it lends itself well to modern trends, including the current industrial style, where matt-finish or rust-effect metal can be used to create a modern, contemporary space. Metal can also be recycled, making it an ideal choice for those considering the full lifecycle of a building. 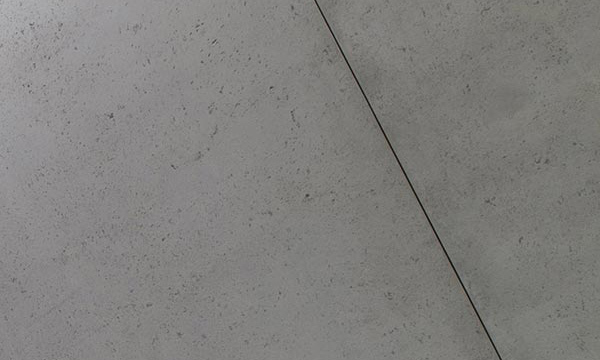 Concrete was once a purely practical material, reserved solely for industrial applications and not regarded for its aesthetic properties. But not anymore and the trend for utilising industrial finishes like concrete within interior design shows no sign of slowing down. 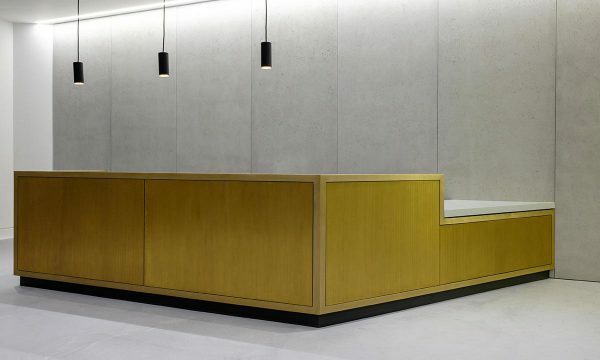 A versatile building material, concrete is ideal for floors, vanity units, reception desks, wall panelling and even furniture among other applications.